CLECKHEATON RUFC’S away troubles continued as they suffered a 38-26 defeat on the road at Driffield. A much-changed team from last week’s Yorkshire Cup success took to the field, with Niall Jackson starting at prop, Bradley Marsden returning in the second row with Josh Plunkett moving to No 8, and Danny Booth making his first start for the club at left wing. Driffield played with the breeze in the first half and got the first try when centre Ben Dinsdale, who proved a handful all game, burst through some indifferent tackling to score to the right of the posts, with James Watts adding the goal. Cleckheaton began to grow into the game and after good approach play, Martin Woodhead put Booth into space and the pacy wing scored wide on the left. Ben Dearing added the goal on his return to his former club to level the scores after 16 minutes. Just two minutes later the lead was restored though, when Dinsdale got away to score a long-range try under the posts with Watts adding the simple conversion. Matt Piper got the next score when he burst onto a short inside pass from Dearing to score his third try of the season, and Dearing added the extras to square things up once again. Cleckheaton were guilty of coughing up possession when in good field position on a number of occasions but when an attack down Driffield’s left flank looked to have been lost, the referee deemed the ball had been kicked ahead and James Wilson followed up and won the chase to the line. The conversion by Dearing gave Cleckheaton a 21-14 lead. This advantage lasted just minutes though, as Jack Seddon knocked on and Dinsdale completed his hat-trick with another try, goaled by Watts to make it 21-21 at half-time with all to play for. Five minutes into the second half, Driffield went ahead again and it was Dinsdale who crossed once more for the bonus point try, with Watts’ fourth successful kick added to make it 28-21. The home team were retaining possession well even though Cleckheaton held the upper hand in both scrum and lineout. When Dearing was clearing a kick downfield, a spectacular grab kept the ball in play and quick hands by the backs put winger Joe Robinson clear to score Driffield’s fifth try, Watts converted and the home team were two scores clear for the first time. 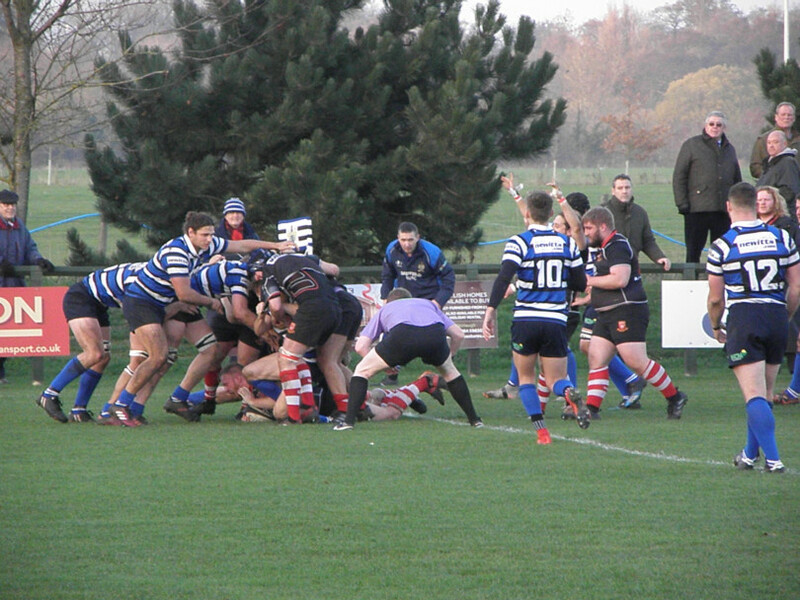 Cleckheaton got their bonus point try on 62 minutes when possession was secured at a lineout and Plunkett expertly controlled the maul to crash over the line. The final score came from a Watts penalty goal on 67 minutes and while Cleckheaton had the lions’ share of possession in the final 10 minutes, the handling errors continued and they couldn’t add another score to earn a losing bonus point. Cleckheaton remain 12th in the league, and will look to get back to winning ways tomorrow (Saturday) when Consett visit Moorend for the first time.